With summer right around the corner, you might be thinking about spending more time outside. However, it’s important not to forget that your home will still be one of the places you spend the most time. To make sure it’s the perfect place for the months to come, the preparation tips below are worth taking a look at. With dropping temperatures behind you, it’s time to put away cold-weather gear that won’t be necessary until the end of the year. While it can be tempting to leave coats, boots, and even sledding supplies out, storing these will help prevent them from becoming damaged. This is especially true with anything that will stay outdoors, as extreme heat and sun can take a toll on certain equipment. 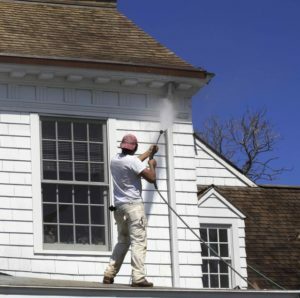 The outside of your house can get pretty dirty during the winter and spring, especially from snow, rain, and mud. To get rid of the reminders of colder times, the Renew Crew of Springfield recommends having your home washed. This actually blasts dirt and grime away from your home’s siding, concrete patios, porches, decks, walkways, sidewalks, and more in just a short amount of time. This will help make your home look more vibrant and can even help reduce damage caused by mud and dirt sticking around for long periods of time. When you have the outside of your house cleaned, it will be easy to make a space where you can entertain or the kids can play. Even something as simple as a few chairs and a table can give you a spot to hang out when the weather outside is nice. If you really want to impress your kids, you may even want to consider buying a temporary pool to help keep them cool. The air conditioner will become a necessity as the weather in the area gets hotter with each passing day. To avoid any problems when you need this unit the most, make sure it’s properly running and have maintenance done, if necessary. If you notice any damage to your concrete from repeated use or extremely cold temperatures, it’s recommended to have it professionally sealed. This can enhance the overall look of the concrete while helping to protect it from future damage. A sewer pipe, sometimes called a line, is typically buried underneath your lawn. When this pipe gets damaged, it can lead to water backup in both your house and your lawn. If you experience any of these key indications, it’s likely you have a damaged sewer pipe that needs to be repaired by a professional plumbing expert. Sewer backups in the home are not a pleasant site. These start to occur in the drain that is at the lowest point in your home. So, your basement toilets, showers, and faucets are going to backup before the other floors of your home. If you are strictly dealing with one area of your home, such as a single toilet, that consistently has backup problems, it’s more likely the issue is in the pipe closest to the toilet. If you experience multiple backups throughout your home, it’s an indication of a sewer pipe problem. In either instance, you should be phoning your trusty plumber to come take care of the problem before it gets worse. We’ve all smelled sewer gas before and you know it’s not very pleasant. If you start to smell that familiar odor in or around your home, it’s time to call a plumber. This is one of the first signs that something is damaged in your sewer line and letting spillage seep out. It’s advised that you contact an experienced plumber to perform your sewer repair as the crack or leak could be located in any of a number of places along your piping systems. If you notice mold or brown spots on your ceilings, floors, or walls, it’s an indication that you have a sewer breach somewhere along the line. These spots will give you a great indication of where the line is broken at. In most cases, you’re going to need a plumber to repair the leak and a contractor to fix the tinted wall. It’s always recommended that you call in an expert to deal with any mold issues as mold can have a drastically negative effect on the respiratory system. You should be monitoring the look of your yard regularly so that you can identify when problems occur. Considering the fact that your sewer line runs underneath your lawn, when it’s damaged on the outside of your home it will give off key indicators. Some of the most common are indentations and overly lush patches of grass. When the damage lets sewer waste leak out of the pipes, it will saturate the soil and cause it to sink down. You’ll be able to notice indentations and uneven slopes in your lawn that weren’t there before. Also, when you see overly lush patches of green grass it’s likely the leaking sewage has been acting as a fertilizer. People who are planning to brighten up the kitchen with one of the actual colours of the season, may consider the accents in blue, orange or green grass. These colours provide an opportunity to give a fresh look to the room without introducing too much colour. You first need to create a neutral background, then to remove all things that are not tied to it. The kitchen interior can acquire new and fresh look without investing a lot of money and effort. Sometimes one or two very minor changes are able to radically transform the room and make it much more enjoyable. Check these 4 great ideas for small kitchen renovations. Before you start working on your kitchen, it’s important to have an idea of what the finished product will look like. The last thing you want is to put a lot of work in, only to have a disappointing end result. Therefore, consider a complete renovation before you start. Using a site like TrustATrader (you can see all their reviews on TrustPilot) for example, you can find plenty of kitchen installers to create your perfect space. Even if you decide that a complete renovation is not what you are looking for, it is important just to consider it before you start any work. Maybe it’s time to pay attention to the walls in kitchen by using artistic colourful touches. You could choose a bright colour like magenta, and then to stop on a pattern that will go with your decor. The good thing is that there are a variety of templates with stylish design. Print this you have chosen, and carefully apply acrylic paint with a sponge. It is possible to use stickers. The good thing about them is that can easily be removed if you do not like the final result. On the kitchen worktop should not have too many things because they will take a lot of space from the working area for cooking. Instead, it could be used painted boxes in vivid colours. They will perform two functions – will provide storage space and will help to achieve a visual effect. You only need to buy wooden boxes and paint them in selected shades. Label each one and put things that you do not use every day, such as forms for cookies and cakes, etc. The shelves are another option that enables you to free up more space on the worktop. The easiest way to use green colour in the interior of a kitchen is by adding a few pots of flowers. To bring more colour, paint pots in deep green or light green. About the plants, choose those who will stand well on the background of kitchen decoration. Adding a patio to your home can greatly improve your lifestyle and help to increase the value of your home. A patio is a great add on to any home and will be great for relaxing and entertaining. Here are some of the benefits that you will get when you decide to add a patio to your home. You can never have enough room in your home. There is always a need for extra space and no matter how big your home is, no one can escape this. While a patio is not an extra room, it is an extra space. Your patio can be constructed and designed to where it has storage. Even your patio furniture can be used as extra storage for some items. When you add a patio, the value of your home increases, and this will make it much easier if you decide to sell it. You will also get a good bit more money than you might have inspected it. Just make sure that when you do the patio, you consider how it looks with the home and make sure that it flows well. Potential home buyers will love a patio that goes well with the home. If you love to be outside, but the weather constantly keeps you in, a patio is a wonderful idea. When you have your patios St Louis MO installed, you will be able to enjoy it no matter if the sun is shining or it is raining. You can even enjoy your patio in the winter if you have a heater or the weather is not too cold. Imagine being able to sit under your patio while watching it snow. Entertaining inside of our homes can be a pain. You often do not have enough room to spread out and move around like you would want to. Feeding everyone could be a nightmare and if you have kids around, spills and home damage is sure to happen. With a patio, you will have plenty of space to entertain outside of your home. You can even put your grill out and enjoy the outdoors and your company. If you have made the decision to get your patio built, your next thing to decide is whether or not you are going to hire a contractor or if you are going to build it yourself. 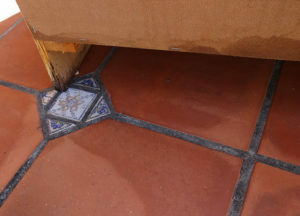 While building it yourself may save you some money, the truth is that if you do it wrong, you could end up damaging your home as well as having a patio that is not functional. The best option is to hire a company that can construct a patio for you. They will know what they are doing, and they will be able to help you design the patio of your dreams.